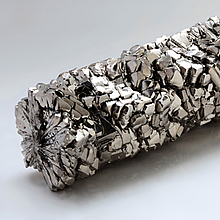 Titanium is a metal that forms an extremely resistant oxide protective layer when exposed to air. This property and its low density (weight) make titanium the preferred choice for applications in medicine, aerospace, and even motor racing. Its good corrosion resistance also makes titanium the ideal material for heat exchangers in the chemicals industry, e.g. for desalination plant and other saltwater proof components in shipbuilding, plant construction, and boiler engineering. MK Metallfolien delivers foils and strips of pure Grade 1 and Grade 2 titanium. Details on titanium can be found on our data sheet, available as a PDF file for download.